Goldstone rounds measuring 8mm. Great paired with gemstones and often mistaken for gemstones. 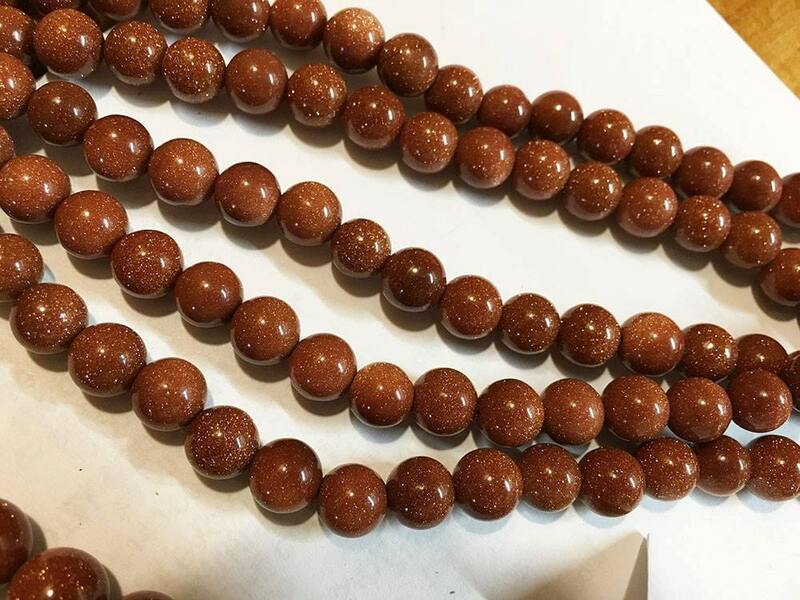 These are rusty colored glass beads with lovely flecks of color throughout - I've listed them in my gemstone section since they are frequently sold along with other stones. You will receive about 24 beads per 8 inch strand.